Are you facing the trouble operating your iPhone X? Or you are troubled with the freezing problem as soon as you operate some app? The iPhone X hard reset solves the problem, but it is somewhat tricky to perform the hard reset on the iPhone X as compared to other iPhone versions. The below guide will provide important guidelines on how to do a hard reset on iPhone X and what exactly happens when you hard reset it or in few cases, you have to permanently reset the iPhone X. Part 2: Don’t Hard Reset but Permanently Reset iPhone X... Want to Know Why? Hard reset is actually not the real reset. It’s more accurate that hard reset is a special reboot. That means when you hard reset iPhone, it won’t affect the data and settings on iPhone. Hard reset is usually used when your iPhone performs abnormally, like crashing, keeping restarting, frozen, etc. Step 1: Quickly press and release the Volume Up button. Step 2: Give a quick press and release to the Volume Down button. Step 3: Click and just hold the Side button. Here keep on holding this button if “slide to power off” appears, you do not have to perform that action. You just have to hold the Side Button until the whole screen goes black. Step 4: After this, as your iPhone X will power back, the user will see the Apple Logo. 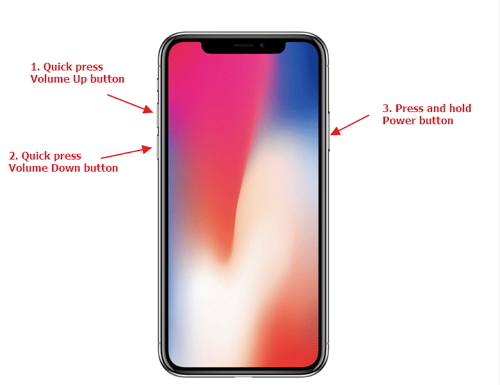 Step 5: Now, release the Side Button after you see the Apple Logo on your iPhone X screen. Note: You might need to be faster than you’re used to pressing and releasing the volume buttons. Just a quick press is all it takes. Don’t Hard Reset but Permanently Reset iPhone X... Want to Know Why? As discussed above, hard reset doesn’t influence any iPhone data stored. So if you want to secure your data privacy, or sell or donate your iPhone X, hard reset is obviously not safe enough. In this case, you need to completely reset your iPhone X and make any data gone forever. Even the “Erase All Content and Settings” doesn’t guarantee this. But with iMyFone Umate Pro iPhone Data Eraser available, privacy protection is no longer a problem. What Does Umate Pro Do? 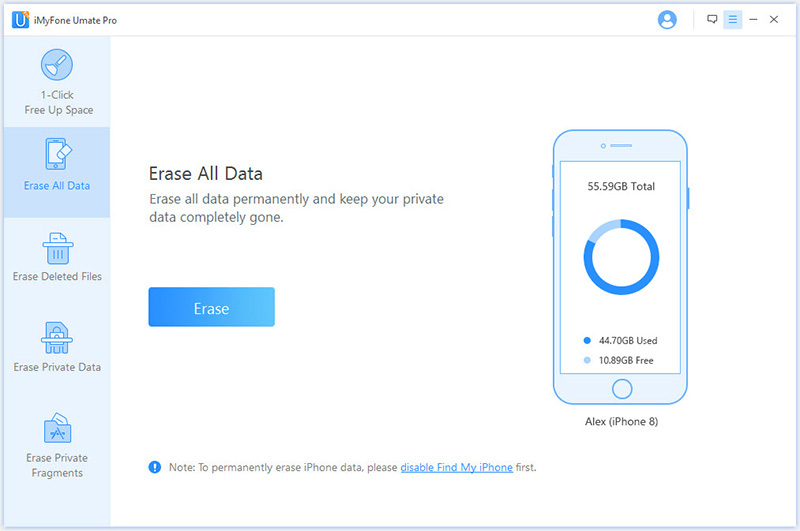 Permanently erase iPhone data and make it 100% unrecoverable. Wipe all the data from iPhone without leaving any deleted traces. View and completely erase some specific data from device and drive, including existing data and previously deleted files. Everything is erasable: messages, search history, contacts, photos, videos, WhatsApp, Kik, WeChat, Viber, etc. Or save space and boost iPhone performance by cleaning junk, cache, temp files, etc. for free. Step 1: Install and open iMyFone Umate Pro on computer and connect their iPhone X with the PC. Step 2: Chose the Erase All Data tab after connecting your iPhone X. Click on the Erase button. Step 3: In the next window, type “delete” in the dialog box for confirmation. If you want to secure your data in the highest level (especially when there is banking information stored on your iPhone X). Choose the Security Level as High Level from the provided three levels. 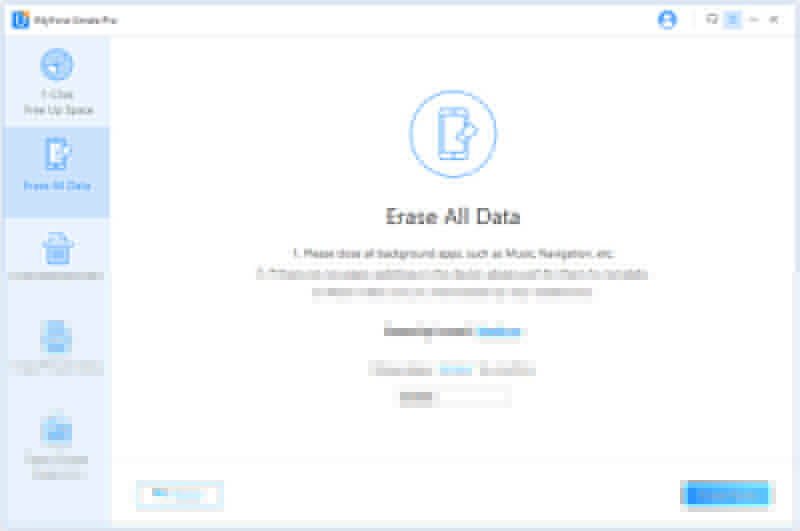 Step 4: Click on the Erase Now button to erase all the data on user’s device. Note: You’d better back up their data before permanently resetting their iPhone X since the data once deleted cannot be retrieved. iMyFone Umate Pro has been tested by leading software review sites, like getintopc.com, MacWorld, APPKED, etc., and received lots of positive reviews. So you can feel relieved to use it secure your iPhone X data. In a hard reset, there is no loss of data. The iPhone X will work even if the screen has turned black or buttons are not responding. Factory reset erases all the contents and settings when the iPhone is not working or the user wants the data to go from the iPhone. The backup of the data is necessary. With permanent reset, it will delete all the data forever without leaving any traces of the messages, media files or call history. The data is 100% unrecoverable even by the FBI. This is the safest way to secure your privacy. To sum up, the users can go with hard reset if they are facing fewer problems with their iPhone on the spot but if you are about to sell or recycle your iPhone X then permanent reset is the only option. Try iMyFone Umate Pro at that time.